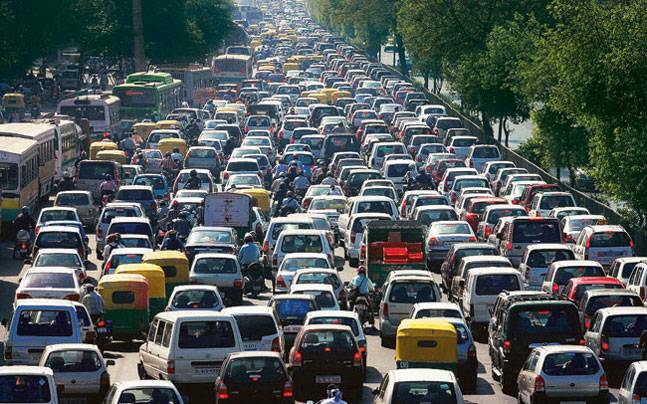 Starting 22 September, in Gurgaon it will be car-free day every Tuesday from 7 am to 7 pm. Collaborating in this initiative are Gurgaon Administration, Haryana Urban Development Authority (HUDA), Gurgaon Traffic Police and Gurgaon Municipal Corporation, with support from NASSCOM, Embarq India, Raahgiri Foundation and Rapid Metro. September 22 is observed as World Car-Free Day. The initiative is expected to encourage people to use alternative modes of transport and in the process also free the city roads from congestion. Joint Commissioner of Police Bharti Arora said that with one lakh new cars being registered every year in Gurgaon, this was the best time for the city to take up the ‘car free’ challenge. Four major IT corridors have been identified to make the campaign more concentrated – namely DLF Cyber City, Cyber Park area, Golf Course Road and Electronic City. These have the heaviest traffic flow in the city. The move will be enforced by the Gurgaon Police, who have sourced 20 cranes to be employed in all four corridors to tow away cars parked on roadsides. Parking will be available only at Cyber Park and other institutional and commercial parking spaces. Rapid Metro will increase the frequency of trains to 3–3.5 minutes, which will mean 225 trains and reduced waiting time for users. Feeder buses will be provided from major metro stations like Huda City Centre, Sikanderpur and Indus Bank Cyber City as also from Kapashera border to the major IT hubs of the city. So, while Rapid Metro, buses and auto rickshaws will make up the public transport facilities, people will hopefully also consider non-motorised modes like cycling, walking and cycle rickshaws. The initiative is timely and much-needed. Anyone commuting in the national capital region can see for themselves the havoc that is happening on a daily basis. There is no longer one single rush hour – every hour, from 8 in the morning until 8 in the evening, is rushed, unpredictable, nerve-wracking. Team CauseBecause has been working on various advocacy options to create and spread awareness about going alternative in commuting – from getting a particular series of vehicles off the road on any given day (for example, a batch of cars with even-numbered license plates one day, a batch with odd-numbered license plates another day), to having one day of the week as ‘no driving day’. The Gurgaon example is a good one to begin with and Delhi must follow suit—sooner rather than later or never.